And here we are over the hump and sliding down towards the weekend. Whee! It's funny that even after you retire and every day is a weekend, you still say things like "have a great weekend" to your other retired friends! Years of habit, that. So, okay, before I show you my card you might want to put on your sunglasses and convince yourself that it was really me who made it! Here tis. Say what? Yup, I done that. Isn't that photo so vibrant and happy? (The DT and gallery cards are fantastic, too!) I decided to try watercoloring with my SAI markers and a water brush, using two NBUS flowers from Verve's "Great Friend" set. I'm not sure, but I think my style might be 'clean and graphic' for this card, she says, cocking her head to the side, bewildered. Don't look too closely at my white liquid pearl dots, please. I was afraid to use the actual bottle applicator for fear it would spurt out all over my card like a gas bubble, so I inconsistently used a pin point to apply them. A for effort, though, eh? In the interest of full disclosure, Hammy did half of them when my hand cramped up. I need to get one of those fine-line applicators. The diagonal stitched banner is from Lil' Inker. 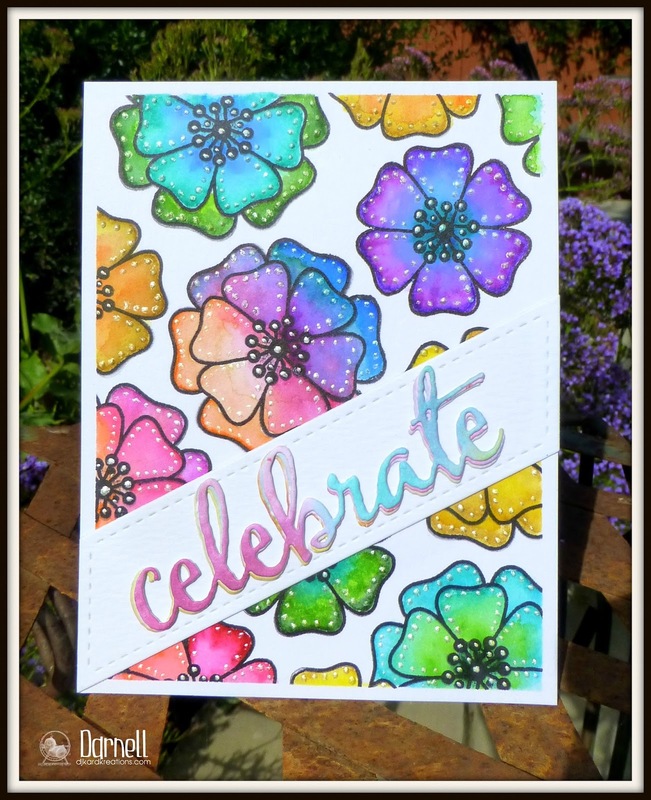 The "celebrate" is from Winnie & Walter, die cut three times from a watercolored background I had in my snippets. I offset the three stacks, which sadly makes the word look a bit blurry in the photo. It's totally nonblurry IRL, honest, and makes for cool dementia. 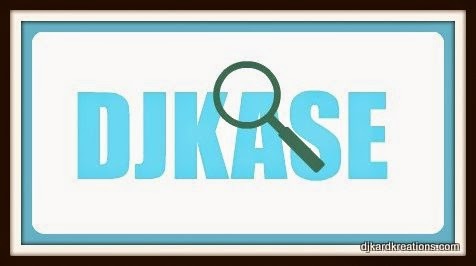 Some of you know that I have a little series of cards which I have CASEd (copied and shared everywhere) from other blog card artists which I call "DJKASEs." There is a tab of them at the top of my blog. As soon as I saw the beautiful and bright TCC photo inspiration, I was immediately reminded of my friend Kelly Latevola of You and Your Big Dreams. Kelly makes THE most vibrant and colorful cards with her mega talent! Thank you, Kelly, for all the brilliant inspiration you provide to us via your blog and thank you for the pleasure of DJKASEing you! Those of you who don't know Kelly will thank me for cluing you in on her sensational, very real, and very funny blog filled with stunning works of art! You're welcome! Just Us Girls Trend Week: Stacked Die Cuts. 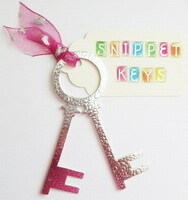 Pixie's Snippets Playground: Use your snippets (scraps). Simon Says Stamp Wednesday Challenge: Use your favorite technique and/or product. Right now, that would have to be watercoloring. This is one sensational card Darnell! I love your case of Kelly's beautiful card! Yes and even though I don't have a 'real' work... I love the feeling of weekend getting closer. I'm behind in commenting, dear friend, but 'order be danged' because I HAD to pop in to this newest release to say: I LOVE X LOVE this card! LOVE LOVE LOVE (echoing across the mountains...). That's all. I'm speechless in LOVE! Wow! Simply stunning ... I love this card the colours are amazing and the pearl dots are "spot on"! Your cards are always amazing and your posts always make me smile .... So this morning I get a double whammy! Darnell this is so gorgeous - I love the vibrant jewel tones you have used, and the white spots are the perfect accent. As for that sentiment, it's perfect. LOVE, LOVE, LOVE this card Dippy. I originally thought it was designer paper but then read your post! It's absolutely stunning. 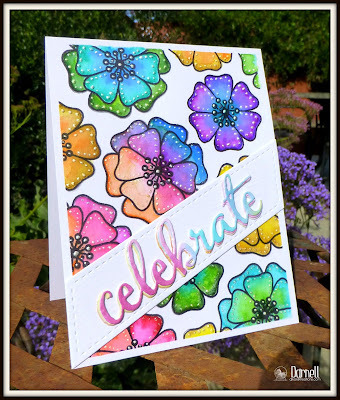 Love all the colors you've used and how lucky you had that piece of matching card to die cut your sentiment! Gorgeous. Wow, this card really leaps out of the screen and grabs you and puts a great big smile all over your face! Absolutely gorgeous! Oo, loving those colours! Absolutely fabulous card! This is stunning Darnell, your design is wonderful. I love the flowers and the colours are so beautiful. WOW what a fab card. I love the bright colours. This is just stunning Darnell - wondeful CASE and so fresh and vibrant. I love it - especially with the twist of the diagonal sentiment! Gorgeous cards and love the deep, rich colours. Great work! Wowzers! One sensational card Darnell. Absolutely amazing. Love all the fabulous colors. Wow! Love your vibrant water coloring. WOWZers Darnell! I am calling it right now...Winner!!! Ding, ding, ding! Terrific card! 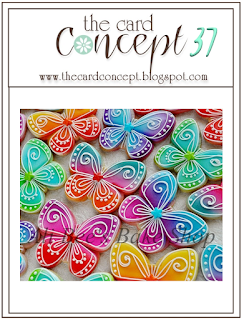 Fabulous colors on your beautiful card! Love the beautiful die cut too. Thanks for joining us at Just Us Girls! Wow! These colors are absolutely amazing! I just love how vibrant and pretty your card is! The dots look great on the flowers -- really gives them character! DH and I try to stay off the roads and away from the stores on the weekends in order to avoid the crowds and let the worker bees run their errands in peace. In all my work years, it used to aggravate me to try to zip through the grocery shopping on a Saturday only to find an old lady with her cart blocking the aisle, dithering over which can of beans to buy. I don't want to be her! Instead of saying TGIF, we are more likely to say ODIF (oh darn it's Friday) and then TGIS (thank goodness it's Sunday). Love, love, love this card. It is so vibrant and it just sings.Your water colouring is superb......fab, fab colours and those pearl dots lok fine to me......must have taken you ages. I think you've captured the inspiration photo beautifully! Love the pretty mixtures of colours you've achieved! Gorgeous card. Love those colors. I've been reading your blog most of a year, Darnell, finally clicked that "follow" button & thought I'd let you know ;) I love your style, card making & blog writing, and I love this card, too, even though it's not your usual style! This card is incredible!!!! Love the vibrant colors and LOVE Kelly too! She is UBER talented like yourself Darnell! Soooooo glad you linked up with us at Just Us Girls or I may have missed this beautiful card!! BE STILL MY HEART! I LOVE THIS CARD!! I'm seeing a winner with this puppy! You nailed the inspiration and the CASEing! So glad you joined in at JUGS too!! Hoooooleeeee schamoleeeeee! Definitely my new favorite DJKoriginal! And what's wrong with your circles?! From where I'm sitting they are sheer perfection. Love everything (and I mean everything) about this! I LOVE this, Darnell! What a great take on the inspiration photo - your liquid pearls were worth the hand cramping involved in making that happen, because they definitely take the card up a couple notches on they eye-catching scale! Love Kelly's work too. This is an amazing piece with superb colouring, Darnell! Love the fun Vibrant colors of the flowers and the gorgeous flutterbies Darnell!!! You're card has seriously left me speechless! You take me back to Hawaii and the shave iced snowcones. Yummy! Thank you for joining us at our first card challenge at Stamp Ink Paper. WOW! I ran out to the car and got my sunglasses :-) Beautiful!!! LOVE the layout, love the colors, love,love,love! Gorgeous card, Darnell! Kudos to you for all those white dots. Awesome job. Thank you so much for joining us at The Card Concept! Love all the vibrant colors in this card Darnell. But I love even more you snuck in that not so perfect card at the bottom of your post. Glad to know we all have stuff that just doesn't work. Have a great day! Beautiful! I really love this card. What markers did you use? You did a bang up job for sure! I love the brightness of this card. It is sooooo pretty! i like using my tombow markers in watercolour format. I am itching to get to make cards. Love this!! Darnell, I absolutely love this card. I am all about bright colors. So, so pretty. Can't believe you and Hammy put in all those little white dots. A great big WOW, my friend! What a bright and beautiful card! Your patience amazes me with the dots. How good that you and Hammy persevered and got them all on there. They make the colors pop even more! Blurry photos seem to be the norm around here. I'm beginning to think it's my eyes! I've had some spraying disasters myself...LOL! Love Kelly's work, too. Oh boy, you done her proud with your DJKASE. Wow, is your card gorgeous. Lovin' all that color and I don't think your "sediment" looks blurry, at all. Fabulous card, Darnell! The colors are so bright & cheerful. Love the demented sediment, too! I love this beautiful colourful card. The flowers are pretty and the colours are fantastic. Beautiful card, Darnell! Love the white dots...you did a great job on that! Good CASE! Wowsers, I love bright and vibrant so this is right up my alley. Summer is kicking in here and this beauty just screams Summer. Retired or no, I will still wish you a great weekend. Ps. . . . . I'm not quite sure that my face was fit for public viewing before the Chickens came home to roost but the discovery of the wonders of BB Cream has helped lol! Absolutely love these and those vibrant colors. Adding the white dots really looks beautiful! Gorgeous card and fabulous colors! This is such a beauty with all of that rich color, and I love all the "dots" of liquid pearls! It must have taken a steady hand and lottsa time to do all them with a pin, but it looks fabby!! Kelly's card is beautiful and your CASE of it exceptional!! Beautifully done Darnell!! Absolutely gorgeous, Darnell! Love thr bright colors and little white dots. 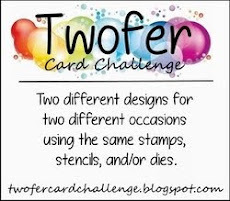 I am so thrilled that you joined our premiere challenge at Stamp, Ink, Paper! Hugs! WOWSA! Your card is va-va beautiful!!!!!!!! Love how you used the challenge!!!! Love this!!!! Beautiful card Darnell. Love the colors in the pretty flowers and your layered die-cuts. What a work of ART, Darnell! The colors are absolutely striking! 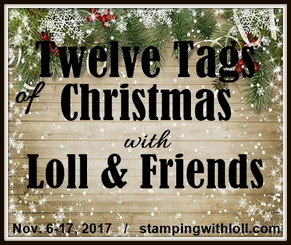 Thanks so much for playing Simon Says Stamp Wednesday “Favorite Products/Techniques” Challenge! 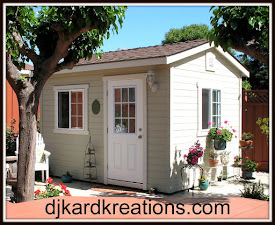 I always love coming to your "party blog"! Vibrant, yes, but AWESOME! Might not be your usu-Al, but you rocked this one! Saw this beauty on Facebook and had to pop in to read the details ( anyway I LOVE reading your posts and you know that) and it's truly an exquisite card, Darnell. Such a superb interpretation of the inspiration picture and a great CASE. wowZah! Darnell this card is gorgeous and bright and cheerful and amazing! Wonderful Darnell, such fabulous bright and sunny colours, I love this! Hey Darnell--Thanks for the comments on my card, and I'm happy to come over and be your newest follower on your wonderful blog. Don't know what your usual style is, but your card is a great interpretation of the challenge photo and those dots are fine. Yep, a fine line tip bottle is a great tool to have in the stash. I have just added a bunch to my stash lately. Love your acronym and I'll be heading over to Kelly's blog later today to check it out. Looking forward to being one of your blog friends. Great playhouse by the way. Wow - this is stunning Darnell and a perfect interpretation of the inspiration photo! I love how vibrant your colouring is too, especially as it is watercolored. Gorgeous card Darnell! You totally captured the inspirational picture. Love it! Well, if this one doesn't win the Card Concept challenge, I'll eat my foam tape!! Brilliant, dazzling, gorgeous!! Wow, Darnell. This is truly amazing. Your card looks amazing, Darnell! That's a lot o' dots, and they look mighty fine! This card popped up on my FaceBook feed and totally lit up the screen, Darnell. The colors are so .... well you said it - vibrant. It's absolutely gorgeous and as you sometimes say "It's in winner in my book." Wow! This is stunning and love the bold colors and background you did with the watercoloring along with how the sentiment shows off. Beautiful! I love your va-va-vibrant! And those dots look perfect! WOW WOW WOW!!! OMG this is gorgeous!! Totally stunning and the card you CASed blew me away too! If your card doesn't win I'll eat my hat! I love the cards they are bold, bright and cheerful - great cards. I had never checked out your "cards from admirers" and was tickled to see some of the cards I have sent you. Shhhh! you have me listed as OH BABS rather than love2colour. Shhh! I won't tell. I've also got those Verve flowers, Darnell, but I have never made anything nearly as stunning as this with it!!! Your watercolouring is FABULOUS and I love the 'pearls'!!! Lovely!!!! Have a great day!!! So enjoyed my visit to your blog!! Wow this is bright and brilliant! Love it! Hi Darnell, what a beautiful card, I love all those fabulous colours! So so beautiful Darnell...just love your sweet rainbow posies. They look as fabulous as the butterfly cookies in the inspiration photo. Wishing you a wonderful weekend! You've really done it now, Darnell--stunningly beautiful creation! Your card is stunning. The colors are so vibrant. And what a cool idea for the sentiment. The white dots are such a great touch. I'm sure Kelly would be thrilled by what her card inspired. I'm going to have to check out her blog. This is simply glorious and it cheered up this dismal winter morning for me completely! This card is simply stunning Darnell!! I fell in love with it immediately after I saw it haha great colouring and your colour choices!! Just great!! Wonderful, phenomenal and just gorgeously done!! In love with this!! You did this, all right and it is stunning! !